Last Friday I took my husband on a date to celebrate five months of being married! Two weeks prior he was cordially invited out for the evening by a hand written invitation from myself, with instructions to be ready at 7.30pm however no details were provided on where he was going! I should let you know that I had told him to be prepared to be amazed ….and advised shortly after it might not just be my cooking that would amaze him! The element of surprise seemed to add a certain suspense to this particular evening I had planned. Now it takes a certain amount of trust to be involved in feeling confident that a surprise doesn’t end up back firing and the subject of surprise is not a disappointment or not really what your person being surprised had imagined. Perhaps women are harder to surprise than men who are usually more malleable to go with the flow…..especially when their wife commands it! Perhaps after all the surprises he experienced on our Wedding Day I have earned his trust….. oh yes and the small matter that we decided to get married….trust certainly being one of the most important corner stones involved!! So if I can confidently decide to surprise anyone hopefully it should be my husband. 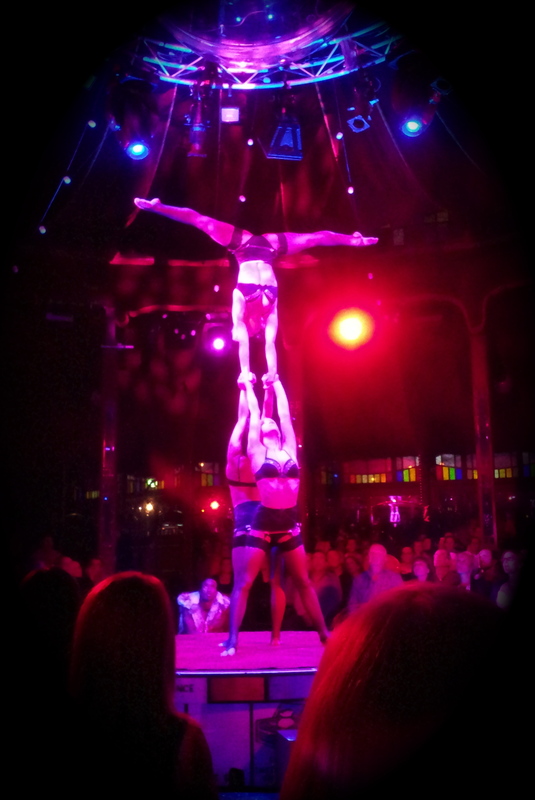 There upon we entered the fabulous world of the Spiegeltent. 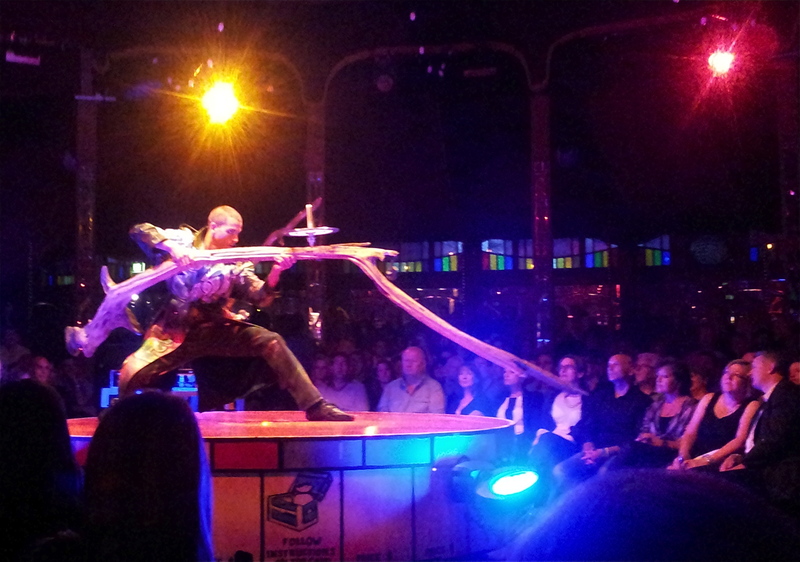 If you haven’t had the opportunity to visit a Spiegeltent be sure to do so if one comes to a place near you. For they do traverse the planet containing a fabulous host of entertainment where ever they go. Tonight it was an incredible performance called Empire. It was nothing short of awesome!! An absolutely spectacular feast for the eyes…. 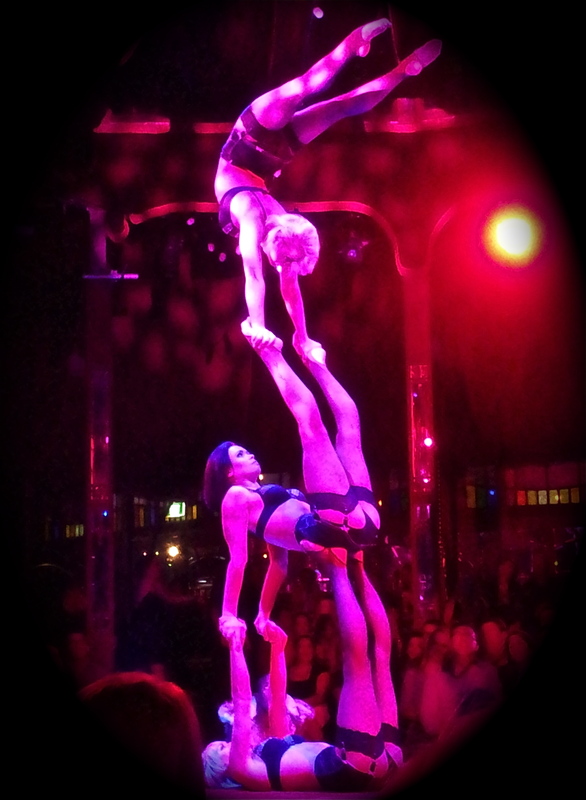 Such impressive strength, beauty, co-ordination, talent, humour, positivity & energy…. Outstanding…… this guy is balancing a spinning top on a branch and moved it from one length to the other and all the little outcrops in between!! This couple were unbelievable if it hadn’t been before our very eyes…. for she is balancing on one hand on his head! I can safely say the surprise was a success and he, well we were totally amazed! The next morning we sprang out of bed with a determination to work on rippled muscles and strength with more enforcement than even the enthusiastic pre-wedding work out vigour we had! With effort, commitment, determination, and hard work it is amazing what we can achieve. We are all incredible and so lucky to be alive. Even if you are not a world class acrobat (I certainly wish I were), you have your own incredible talents. Go forth and amaze! 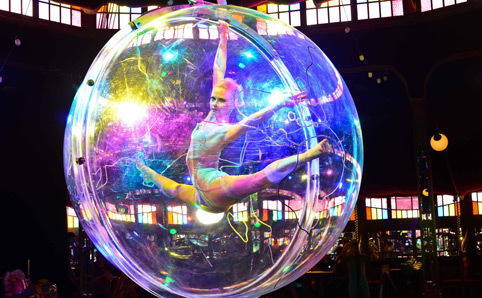 This entry was posted in Experiences and tagged acrobats, amazing, balance, co-ordination, Date, Empire, energy, performers, Photo's, Spiegeltent, strength, Surprise, talent, Trust by Chasquita. Bookmark the permalink.